Hope week is April 15-18. Students will be learning more about what Hope Squad is, its function within the school, and how to access help. Please show your support by participating in the week’s events. 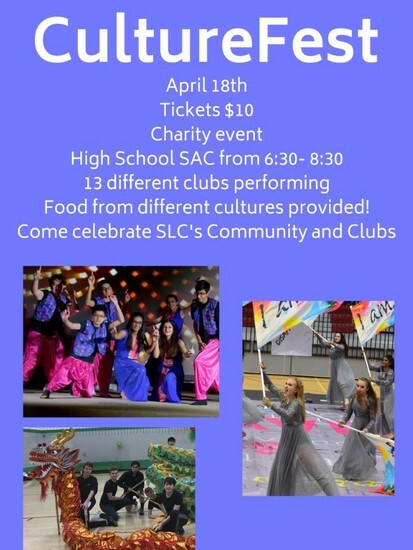 For more information visit https://hope4utah.com/ or contact Mrs. Watson (melissa.watson@southlakecarroll.edu). On Monday, Hope Squad has arranged for four dogs from Alliance of Therapy Dogs to come to the CHS campus to visit with the students to help with stress and anxiety levels as well as offer encouragement and hope. The dogs and their handlers will be in the counseling office during all lunches for students to choose to come and visit. 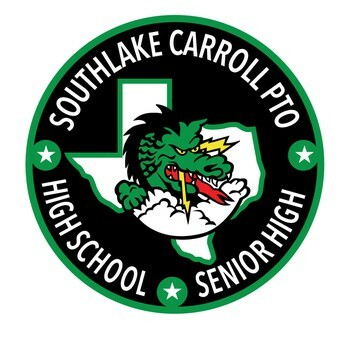 If you would like more information about the dogs and the therapy dog program, please visit https://www.therapydogs.com/ or contact Melissa Watson at melissa.watson@southlakecarroll.edu with any questions or concerns. 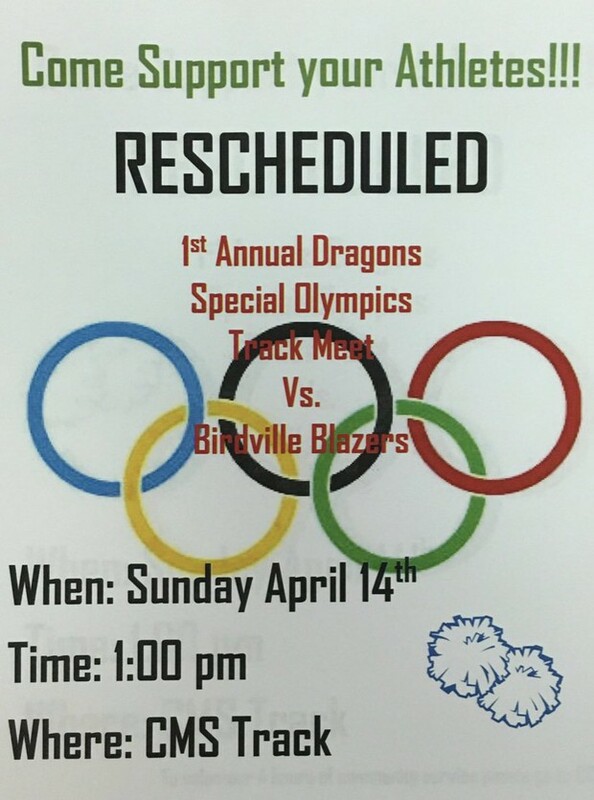 Please come out and support our athletes! All volunteers need to report to the CMS gym at 12:15. Get your kids cleared for 2019-20 UIL athletics through Carroll ISD sponsored physicals. Wednesday (4/17) is now sold out for the Carroll ISD physicals at All-Star Orthopedics. However the Saturday (4/20) time slots are all available! Lock in a spot now to ensure you are ready for 2019-20 athletic school year. The CSHS/CHS PTO will open its scholarship application process on March 7, 2019. 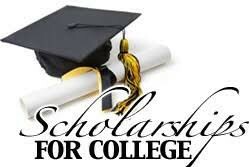 The PTO will be awarding scholarships for $1,000 each. Applicants' families must be PTO members as of November 1, 2018. 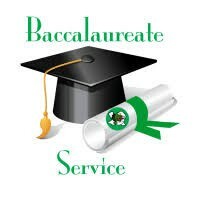 Applications will be available at www.southlakecarrollpto.com and on Naviance. All applications must be complete and submitted no later than 10:00 PM on Sunday, April 14, 2019. The PTO General Meeting that was scheduled for Tuesday, April 16th at 10am in the CSHS Library HAS BEEN CANCELLED. 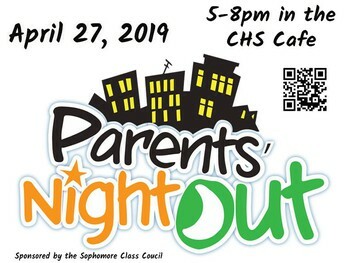 The Class of 2021 is hosting a second "Night Out" for parents on April 27th at Carroll High School. Sophomores from CHS will be providing care for your children in the CHS Cafeteria from 5-8pm for just $15 per child. This fun, enjoyable night will include games, movies, snacks, crafts, and activities for your children. 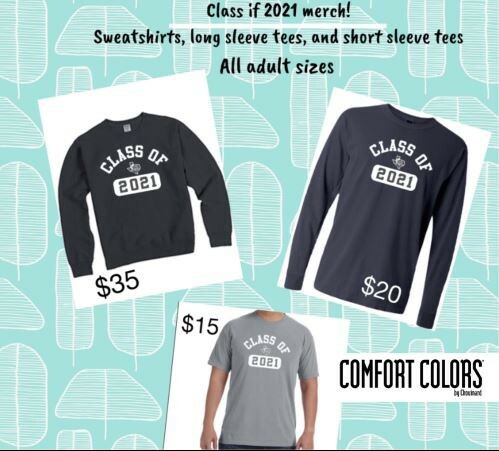 Order your Class of 2021 merchandise today! T-shirts are available in short or long sleeve and we have sweatshirts too! 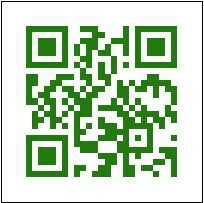 Scan the QR code to order, site will be open through April 14th at midnight. 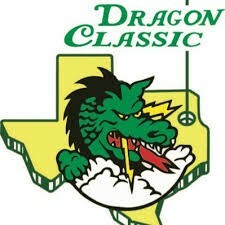 Please join us for the 6th Annual Dragon Classic on Friday, April 26th at Sky Creek Ranch Golf Club. 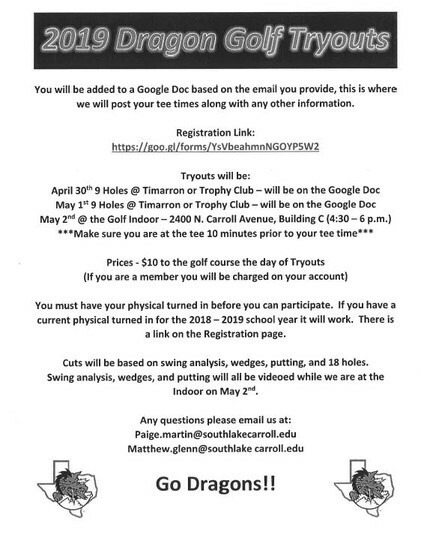 The Dragon Classic is an annual golf tournament held each spring, open to all Carroll ISD supporters; Dragon Alums, current parents, local business owners, etc. The deadline to order the CHS yearbook, The Vision, has passed. 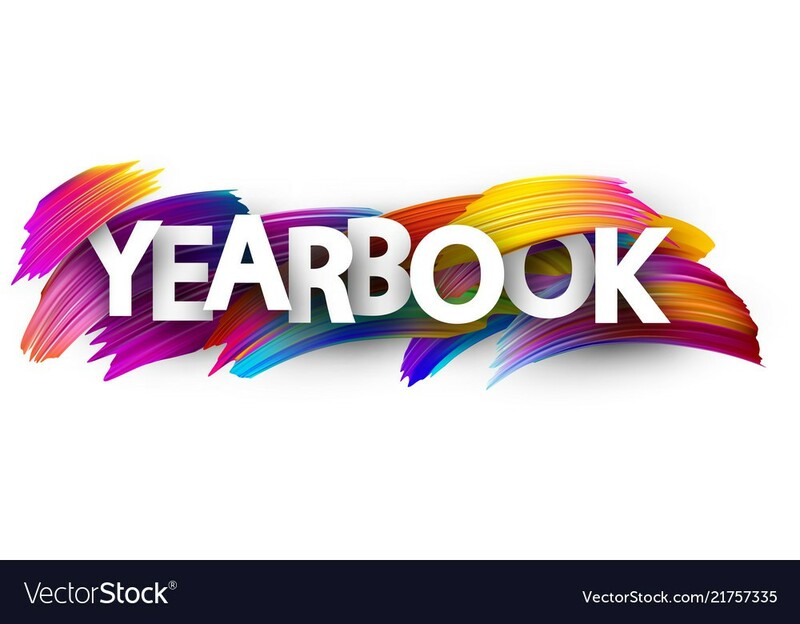 Any extra yearbooks will be available for purchase ($80) on the distribution days (May 20 and 21) during all three lunches. There isn't a reserve or wait list for these extra books. They will be sold on a first-come, first-served basis. 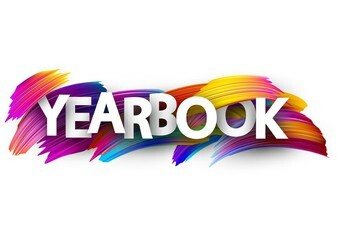 To see if you ordered a yearbook, please contact the Balfour Call Center at 800-944-5930 and they can do an order search. 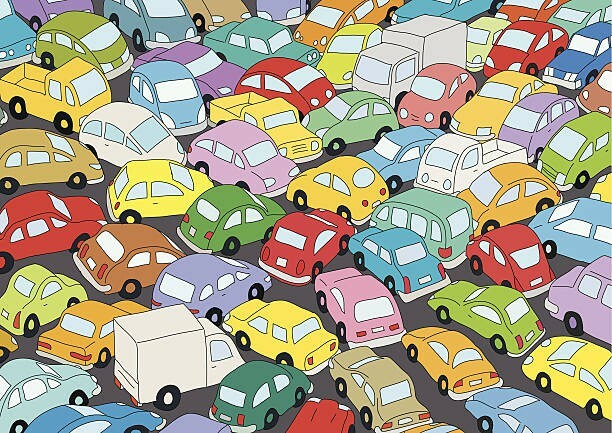 Remember that ONLY sophomores, juniors and seniors are allowed to drive/park at CHS and should be parking in the north band lot where ample space is provided. 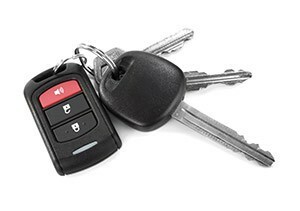 Carroll High School will begin placing wheel locks on vehicles that are parked in unauthorized areas or vehicles that do not have a current CHS/CSHS parking permit. If a student is illegally parked for one or more of the following reasons they are subject to be booted, towed or both. Cost for removal of the booting device is $30.00. If a student is booted they will find a neon orange sticker (sample above) affixed on the driver’s side window. Failure to pay will result in disciplinary action. 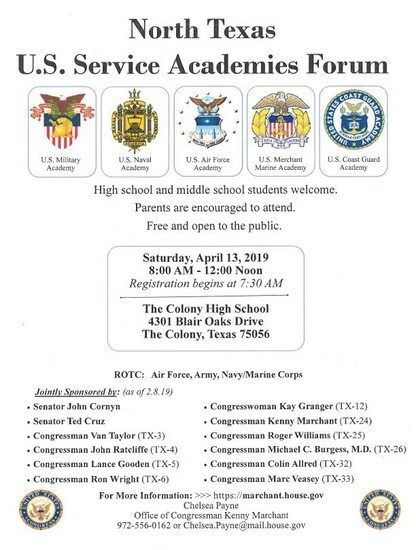 Please feel free to contact the Assistant Principal’s office at 817-949-5626 with any questions. 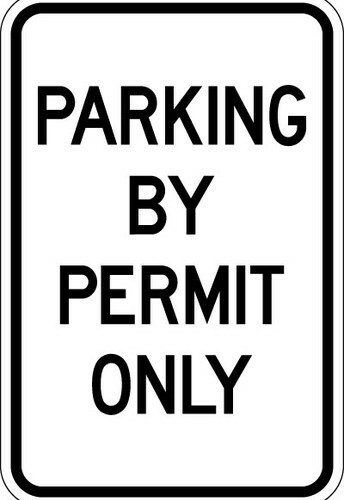 High school students parking on campus must have a valid parking permit which is properly affixed to the vehicle. 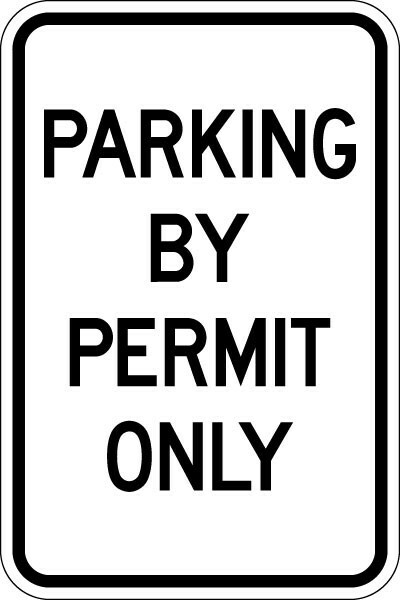 Parking permits are purchased online and permit stickers are available for pickup at CHS and CSHS with proof of payment, license, and insurance. **Please note: 10th graders are the only CHS students allowed to drive to school and park on campus. Cars without parking stickers may be towed at the owner's expense or subject to a booting device which will require a $30.00 removal fee. Verification of Enrollment is required for students getting a permit or license. There is a sign-up sheet in the front office. If you sign in before noon, forms can be picked up by 3:21 pm, after noon forms can be picked up the next school day. Forms are good for 30 days. 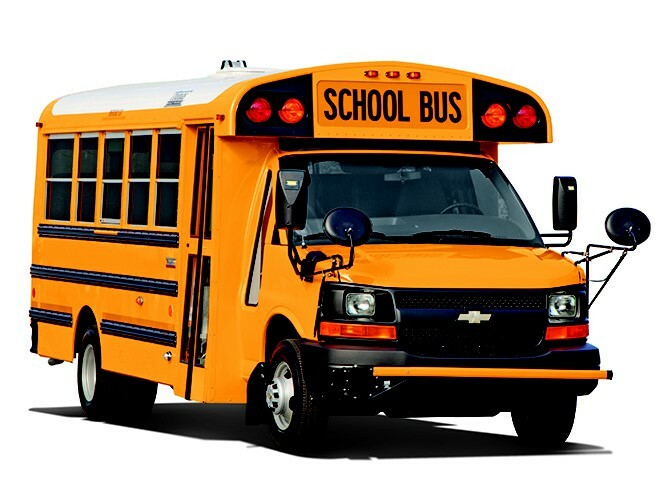 Students must commute between campuses (CHS/CSHS) via the district provided shuttle bus. The only exception is when a student begins or ends their day on a campus that is not their home campus, they may commute in their personal vehicle only for first or last block. Transporting other students in their vehicles is also prohibited. The CHS/CSHS PTO Baccalaureate service is an interfaith inspirational service to honor all CSHS Seniors and their families. 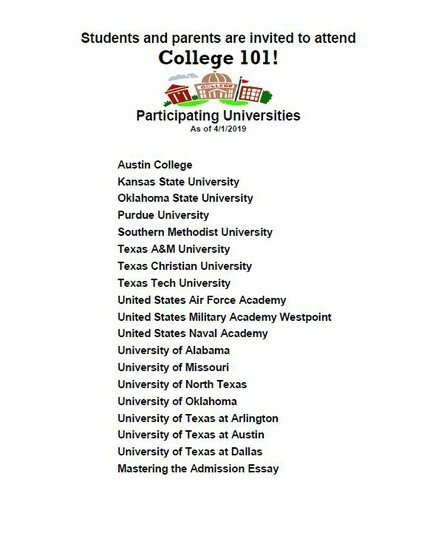 Attendance is optional. All seniors wishing to attend the service are honored, sitting as a group, wearing caps and gowns for the first time. Family and friends are encouraged to attend. Visit the CHS/CSHS PTO website to learn more about the event. CHS students, do you need extra help with Math, Science, Social Studies, Spanish, or English? 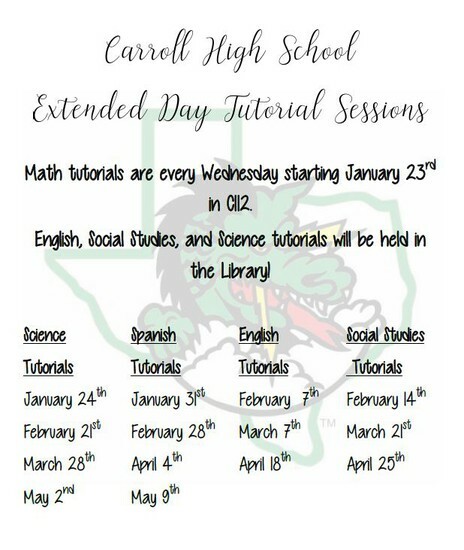 If so Extended Day has tutorial sessions available. Math tutorials are offered every Wednesday in C112 with Mrs. Hinkle. English, Social Studies, and Science tutorials will be offered Thursday's in the CHS library starting at 3:45. Please refer to the schedule below for specific dates. It has come to our attention that parents are parking in spots and lining up in the student parking lot instead of waiting in the “parent” lines at drop off and pick up. When drivers park in a student’s space in the morning or block student drivers in their spaces after school, it causes concern between students with parking spots trying to get to class or home and parents disregarding the designated pick up and drop off zone. Parents, please use the proper pick up and drop off lines and do not park in the student lot for the safety of our students. 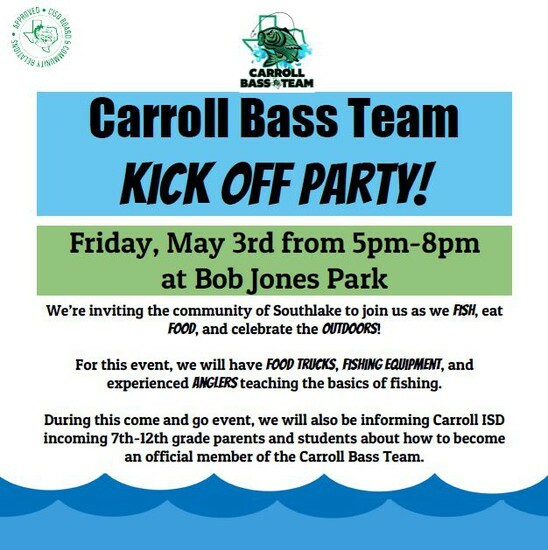 Beginning after Spring Break 2019, Carroll ISD will implement a Voluntary Random Drug Testing Program for students in grades 7-12. The program is designed to provide support and resources to parents/guardians of participating students, therefore, a positive drug test for a participating student does not result in discipline consequences. The program will be strictly voluntary and free of cost to students and families, while serving as a deterrent to illegal drug use and assisting the district in enforcing a drug-free educational environment. The policy approved by the CISD School Board in the fall of 2018 is modeled after a program in Keller ISD, and will serve as a two-year pilot program in Carroll. In order for your child to participate in this program, please fill out the Parent Permission Form & Registration and return to your campus principal. 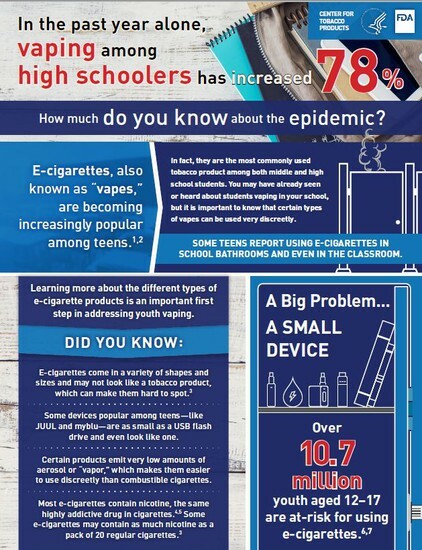 Talk with your teen about E-cigarettes and their risks. Before the talk know the facts, be patient and ready to listen by avoiding criticism and encouraging an open dialogue. Remember that your goal is to have a conversation not deliver a lecture so it is OK for your dialogue to take place over time in bits and pieces. Finally set a positive example by being tobacco-free, for help visit smokefree.gov or call 1-800-QUIT-NOW. Students in possession of any vape component or caught vaping will be now be referred to the campus SRO for prosecution in addition to school discipline. Parents who purchased fall semester bus passes for their children are encouraged to register and purchase spring semester bus passes now to provide uninterrupted bus service. Students new to CISD and continuing students who need to use bus service will also need to purchase spring bus passes. Spring Semester Pass $148 per student or $296 per family. Click here to purchase your Spring Bus Pass. To read more about the Bus Pass Program, click here. 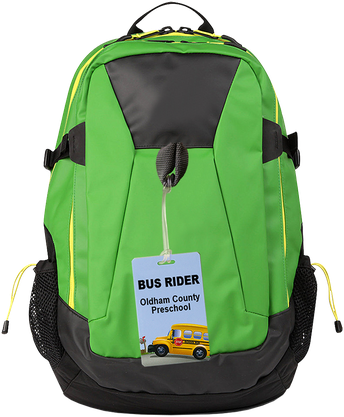 All bus riders must have a current Bus Rider Contract form signed by a parent or guardian and turned in with the Bus Rider Registration indicating they will abide by the Bus Safety Handbook. 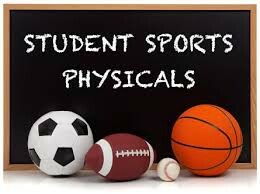 We offer AFTER SCHOOL ACTIVITY PASSES (at no charge) for students who, after their last class of the day, need to be transported to the other high school for a school sponsored sport or activity. This pass may be obtained by picking-up an application from the CSHS or CHS office. Once completed, it must be signed by the coach or sponsor of the activity or sport and returned to the office. All students must then sign the bus rider contract. Passes will be available for students to pick-up at the office within three (3) school days. 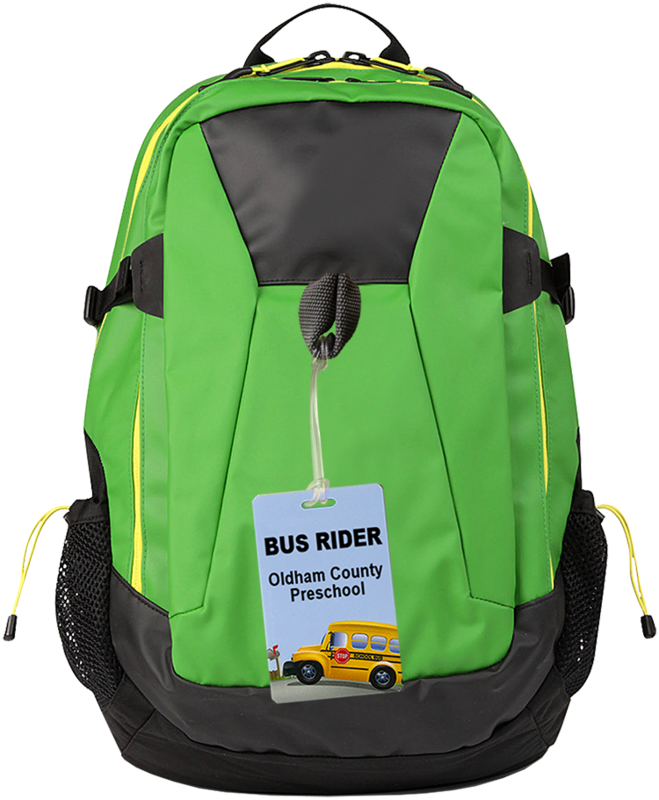 Students must present their pass to the bus driver each time they need to ride or will not be allowed to ride. This pass is not necessary if the student has a valid annual or semester bus pass. 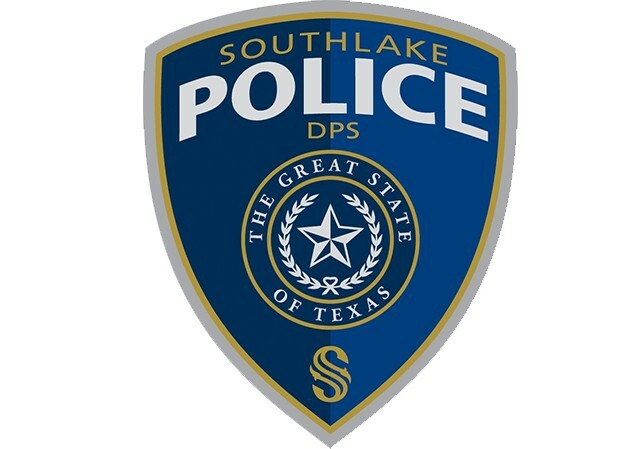 Please note that misuse of the pass will require immediate forfeiture of the pass and it must be used for transportation to school activities only. 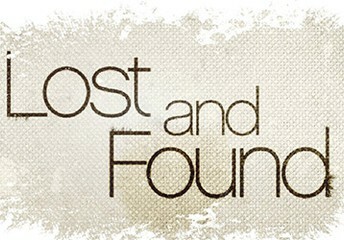 We have an overabundance of lost and found! If you think your student may have misplaced something have them stop by the Lost and Found outside of Nurse Cooley's clinic. As the year goes by, if you are cleaning out your closets, and you have t-shirts, athletic shorts, or sweatpants you are getting rid of, please consider donating them to the CHS clothes closet for students’ use. As a reminder, students are not allowed to carry medications (over-the-counter or prescription). 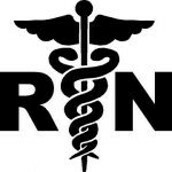 You may keep medications in the nurse's office for daily or as needed administration with a signed MAR form. Please be sure medicine is in original container and not expired. Prescriptions also require a doctor signature. I am unable to dispense medicine, even Advil or Tylenol, unless it is the student's own medicine brought in specifically for them. Join AP Booster Club Today! The CISD Booster for Special Programs is a district wide organization that supports Special Programs, such as Dyslexia, Preschool, ESL and Special Education within the Carroll Independent School District for all eleven campuses. 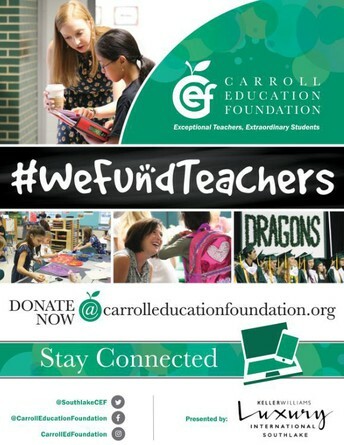 Their mission is to continue to support the Students, Parents, and Faculty involved in special programs by providing additional resources, continuing educational opportunities for faculty and parents, speakers, and support groups for families and to collaborate with the District in continuing to provide excellence to all students in all programs at CISD. Your membership dues make their mission possible and the CISD Booster for Special Programs needs your help. Please click the link below and become a CISD Booster for Special Programs today! For more information on giving as a family or through your business and company matching, visit www.carrolleducationfoundation.org/donate-now. 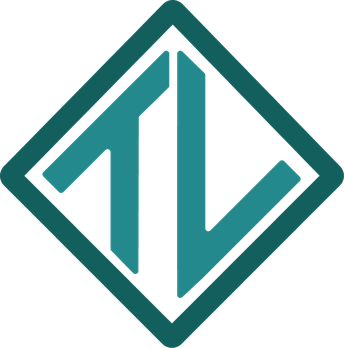 Teen Life is a support group designed to help teenagers succeed at handling issues related to family, school, stress, and the ups & downs of life. 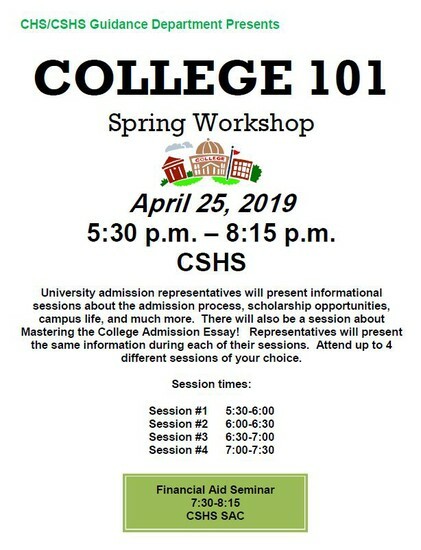 If you think your child would benefit from this group, please send his/her name to Becca Piriano in CHS Guidance and she will reach out to them. Visit their website for more information at https://www.teenlife.ngo/. CISD Student ID’s are issued only once during your 4 years at Carroll/Carroll Senior High. DO NOT discard your current ID, if you do and you need a new one, the cost to replace your ID will be $10.00. Please see the Guidance Office for replacement if you are at the CHS campus. Students at CSHS should see Mrs. Cranford in the Library. 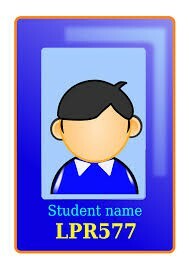 All students must have their ID’s with you daily for entrance to the buildings as this is your key, the outside doors will be locked and not open for entrance without your ID. All exterior doors will be locked on campus. To enter the building you must have your ID in your possession. Your ID will access doors before school, after school, and during passing periods. If you need a replacement ID you must go to the counseling office for a replacement at $10. Please do not open a door for a student without an ID as you’re threatening the safety of all students. In addition, do not hold doors open as all students should have ID’s on them at all times. 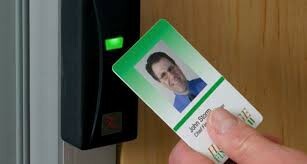 If you do not have an ID outside of the building you’re welcome to come around to the front office where they will identify you for entrance into the building. Please be cognizant of your safety and all student safety going forward. 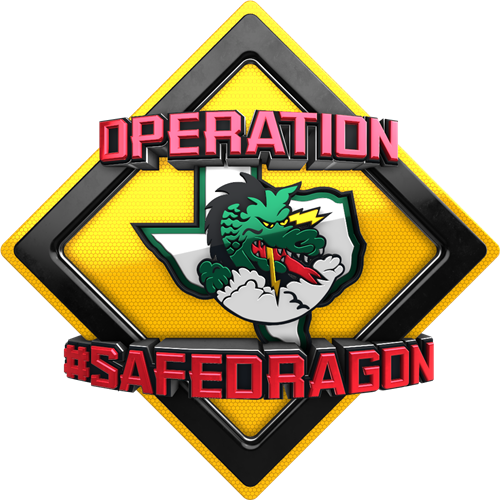 The goals of the #SAFEdragon program are to improve safety and security within Carroll ISD and promote emergency preparedness among students and staff. Remember when visiting our campuses to always enter through the main offices so we can properly sign you in and print you a badge. Students should never open the doors for anyone, not even friends. Be a #SAFEdragon! 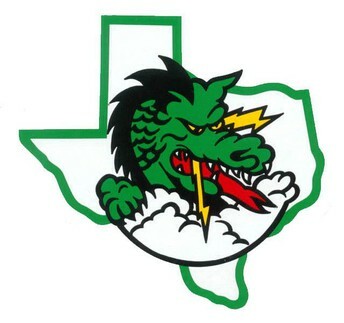 The Dragon Mobile App is for parents, students, and staff. Mobile Dragon keeps you connected with the latest district news and other helpful information at the touch of a button. Click the link below for more details about the App. 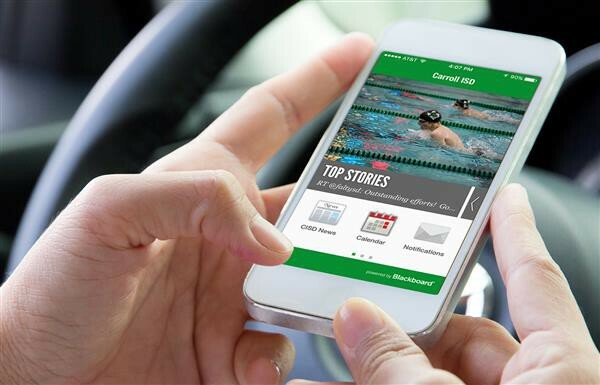 The app is available for iOS and Android smartphones in the App Store and Google Play. Search “Carroll ISD” to find and download the app today! CSHS and CHS are closed campuses and students may not leave campus during lunch. 9th & 10th Grade students must enter classrooms by 8:00 am when classes start. All students must sign in at the attendance office if they arrive at 8:01 am or after. Late students must have a doctor's note, parent call or parent note letting attendance know that they are aware that their student was tardy. 9th Grade students. 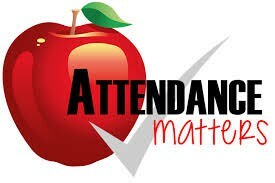 Parent/guardians of 9th graders must physically sign their student out at the attendance office for early dismissal. If someone other than a parent/guardian is picking up a student, that person must be listed on the family's emergency contact list located in Family Access. Parents/guardians must contact the attendance office if a person - not on their emergency contact list - is picking up their child. The office is required to make a copy of that person's driver's license in order for the student to be released and that person needs to sign the student out. 10th Grade. As we know, many of our 10th graders drive, therefore they are permitted to sign-out with the attendance office for an early dismissal provided parents/guardians have notified the attendance office in writing. The note from parents requesting an early dismissal must be dated/signed and dropped off at the attendance office first thing in the morning. We will then provide the student with a pass to return to the attendance office at the early dismissal time to sign-out and exit the campus. If your 10th grader is returning that day, please ensure they sign in at the attendance office upon return so their attendance record will be noted properly. FYI, For our students’ safety, it is important that they sign in when arriving late or sign out when leaving early. Students who do not comply with this safety measure will be referred to the Assistant Principal’s office per the CHS Handbook.